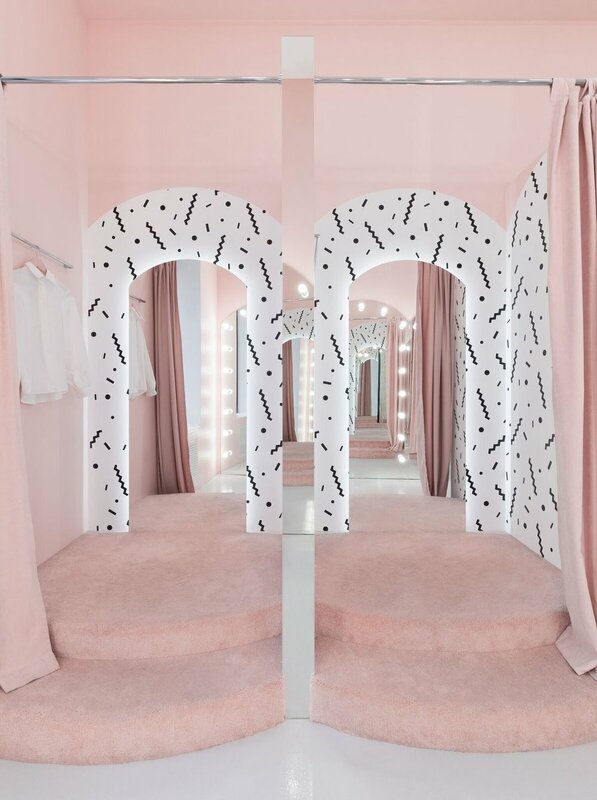 Stimulate your pink self with this minimalistic 100-square-feet secret shop: Blushhh! The project, designed by Katya Zuieva and Arten Vahrin, aka AKZ Architectura, is located in Kiev and is an «example of a bright concept put at the heart of a minimalist interior». Ultimately, like it's name, it serves as a fresh and surprisingly spacious contribution to the land of retail design. To further contribute to the welcoming sensation of spatialness, the overall brightness is underlined with foil-covered walls, mirrored surfaces, profiled gloss-white panels, and even velvet curtains in the dressing rooms. Sassy. Foil-covered walls, mirrored surfaces, profiled gloss-white panels, velvet curtains... 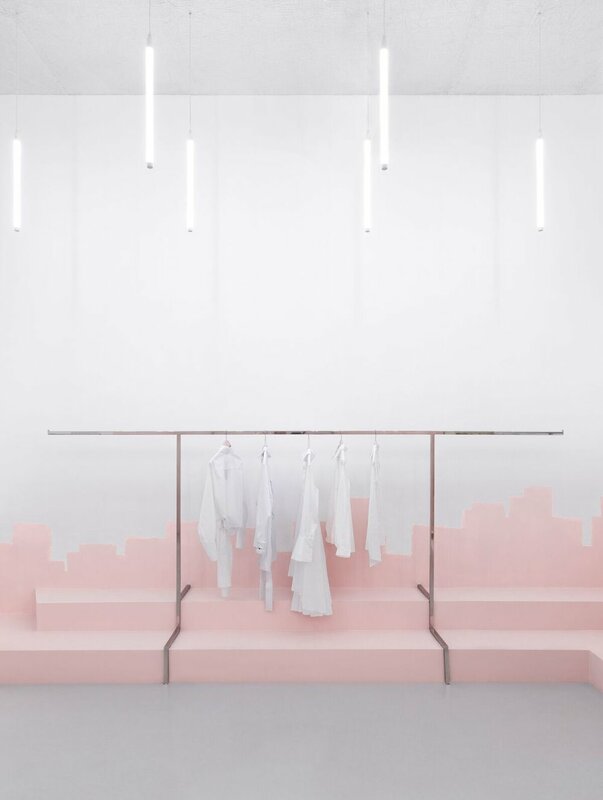 Stimulate your pink self with the minimalistic 100-square-feet secret shop, Blushhh! Noma designs 700-square-metres of brand-closeness for Menu. Joanna Laajisto about how she discovers and underpins the personality of a space. The future of shoe retail is a love letter to sophistication and time-tested methods. Tom Wood has opend a small boutique in Prinsensgate, Oslo's new and urban area.